The real political correctness is what put Trump in the White House. It’s people who criticize racism who are silenced, not those who embrace it. 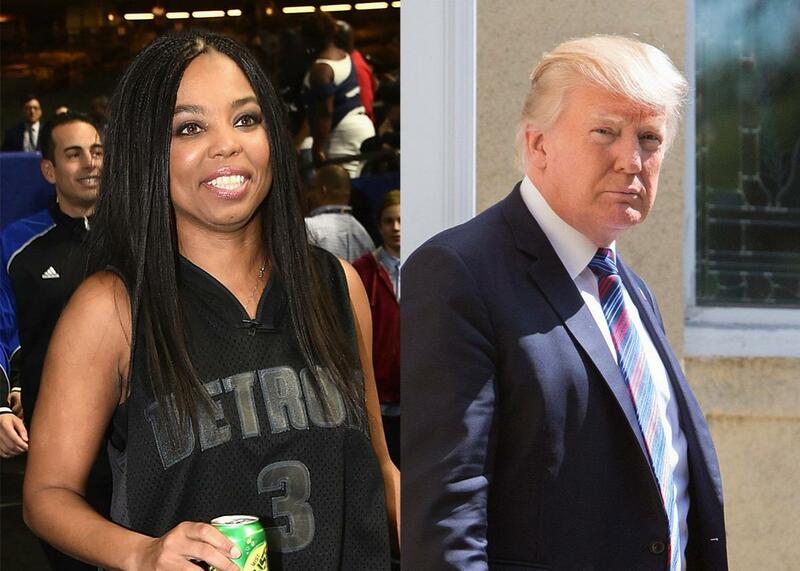 Jemele Hill was silenced for being politically correct, while Donald Trump is embraced for being politically incorrect. The ideology that put Donald Trump in the White House is one of victimhood as much as it’s one of resentment. As a candidate for president, Donald Trump did more than attack presumed outsiders like Muslims and Hispanic immigrants; he also quenched a thirst for a large group of Americans indignant about what they have suffered at the hands of others. But these supporters weren’t victims of any real oppression or exclusion—they saw themselves as victims of political correctness, living in a world where a liberal media suppressed truth in the name of supposed fairness. But what they called truth was simply prejudice. The media won’t talk about immigrant crime or “radical Islamic terrorism,” argued Trump in a year’s worth of rallies and events—grossly distorting the reality of immigrant communities and violence in the Muslim world—but I will. When his supporters praised his honesty and bluntness, aka his political incorrectness, what they meant was his willingness to air bigotry as truth. For them, his public prejudice was a kind of liberation from an oppressive atmosphere of conformity. The irony is that, the occasional high-profile backlash notwithstanding, few people are actually punished or ostracized for expressing Trump-like attitudes. This is clearly true in everyday life, where a sizable number of Americans hold and express white nationalist views but retain their jobs and relationships. It’s also true in the public sphere. Donald Trump is emblematic of this. Five years after stoking a racist conspiracy theory about the legitimacy of the U.S. president, he won the presidential nomination for the Republican Party, with only modest dissent from GOP elites. Put differently, Americans overestimate how much anyone is ever sanctioned for explicit prejudice and racism. The political correctness so decried by Trump and other conservatives is more chimera than scourge. There is, however, a different, stronger form of political correctness at work in American life, with real consequences for those who violate it. This political correctness targets those who speak frankly about the force and effects of racism. It’s a political correctness based on the offense felt by white Americans, and it’s pervasive and powerful. The most prominent recent example involves Jemele Hill, an ESPN personality who last week tweeted that President Trump was a white supremacist who has surrounded himself with “other white supremacists.” The tweet was a sensation, and after White House press secretary Sarah Huckabee Sanders called Hill’s statement a “fireable offense,” inserting the presidency into matters of private employment, ESPN rebuked Hill, saying she crossed a line. Trump then took to Twitter to blast the network itself. ESPN’s public editor also weighed in. “I think Hill made an error in judgment in those tweets,” he said, arguing that while Hill is a commentator, she erred by “ignoring company guidelines,” which hold that political discussion should center on topics “impacting sports” and which ask employees to avoid “personal attacks and inflammatory rhetoric.” He added, as well, that calling the president a “white supremacist” pushes that line. Others disagreed, including the Atlantic’s Ta-Nehisi Coates during an interview on All In With Chris Hayes. I think if you own a business that attempts to keep black people from renting from you, if you are reported to say that you don’t want black people counting your money; if you say—and not even reported, just come out and say—that someone can’t judge your case because they are Mexican; if your response to the first black president is that they weren’t born in this country, despite all proof … if that’s the essence of your entire political identity you might be a white supremacist, it’s just possible. In this reading, white supremacist isn’t a pejorative; it’s a description of President Trump’s ideology, a judgement drawn from his actions. In the same way that a journalist might look at Barack Obama’s record and label him a liberal, or do the same to George W. Bush’s and label him a conservative, Coates, like Hill, is drawing a conclusion from the accumulated evidence. The problem for Hill isn’t that the conclusion lacks a factual basis. The problem is that it offends certain groups of white Americans. It is, in a phrase, politically incorrect. But whereas Trump’s politically incorrect affirmation of white racism is rewarded, Jemele Hill’s was punished. For the past year, NFL quarterback Colin Kaepernick has been maligned for kneeling during the U.S. national anthem, which began in 2016 as a protest of police violence against black Americans. Barack Obama sparked controversy whenever he spoke bluntly and honestly on racism, whether it was criticizing police for arresting a black historian at his home in Cambridge, Massachusetts, or expressing sympathy for the family of Trayvon Martin, the black teenager killed by George Zimmerman after a confrontation in a Florida suburb. In neither case did Obama misrepresent the facts, but he did treat racism as a real force, expressed by real people, that burdened black people. This, to many white Americans, was intolerable. If liberal political correctness is overstated, then its mirror image, the force that shuts down frank discussions of racism and racist acts, is understated. Yet it’s this latter force that more powerfully shapes our politics, either in the spectacle of the White House demanding retaliation against critics, or in writing and thinking that seeks to absolve white Americans from any responsibility for racism. The president and other conservative voices rail against liberal political correctness. But on the whole, the burden posed by “P.C. culture” is light. The pervasive discrimination in hiring, housing, and schooling is evidence there are relatively few spaces where prejudice is adequately countered and openly punished. What is punished is anti-racism or even just the identifying of racist beliefs, practices, and actions. Protesting racism might make you a pariah. Indulging it might put you in the Oval Office.